Maybe it’s not as easy as Google thought to enter the mobile world. Amid much fanfare last fall, Google announced the formation of the Open Handset Alliance and Android, it’s open-source mobile operating system. 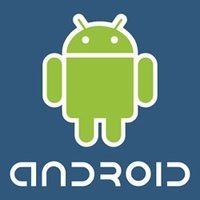 At the time, Google also announced the $10 million Android Developer Challenge to jump start application development. We were skeptical then, we’re skeptical now. Google, which is currently involved in the hush-hush bidding for the FCC’s 700 MHz spectrum auction, is delaying an update to the initial SDK (released in November) that turned out to be “rough around the edges.” The delay — from March 3 to April 14 — is due to Google making “significant” changes, according to Quang Nguyen at the Android Developers Blog. While this means nothing yet to the average cell phone user, there are plenty of folks anxious to see what kinds of official applications are being developed using Android, as well as what the real hardware will look like and how the devices will function. Will this delay hinder the arrival of Google-powered phones? The Android delay also means that the Android SDK and the results of the Android Developer Challenge will come out about a month after Apple releases its much-anticipated iPhone SDK, due later this month. What interesting applications will iPhone developers be working on that will entice new users to the iPhone, rather than wait for a Google phone?